There is no denying that winter is upon us. Dark nights, frosty mornings and damp air. Follow the short, snappy check list below to get your poultry coop in order to keep those hens happy. 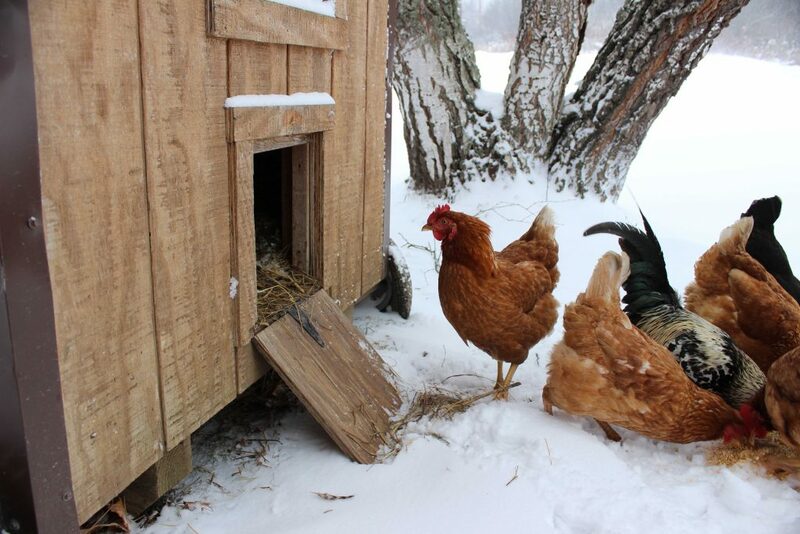 · Carry out any essential repairs to the coop and consider a sheltered run if not already installed. · Ensure the coop and run are fully waterproof and address appropriately if not. Tarpaulin is an excellent temporary solution. · Check the ventilation- ensure there is airflow within the coop, essential to prevent ammonia build up which could be detrimental to the health of your poultry flock and yourself if inhaled. · Choose a clear day to take the opportunity to deep clean the coop. Scrape off any dried droppings and then scrub with hot soapy water. Using a safe disinfectant is advised and a variety of products are available in our stores. · You may have read our article relating to mites, even in the winter they can persevere due to the flock spending more time in the coop. So take the opportunity to spray a multi action product that will also act against bacteria, fungus and viruses. Ensure you get in all the cracks and corners. · To keep the benefits of your hard work, disinfect weekly ensuring you pay close attention to drinkers, feeders and anything else in the coop. · Keep a close eye on the ground condition, damp conditions can encourage fungal infections on the chicken’s feet. Ensuring the run is covered and there is adequate drainage should help but depending on the type of ground you may need to lay down bark or hemp chippings. · DEFRA often enforce Avian Influenza prevention zones, please be aware and check whether your area is included and ensure your coop and run comply with the requirements. Our Country stores have a variety of products to help ensure each and every point is ticked off your to do list. Pop down to your local branch and browse our range of poultry products including feed, bedding, supplements and disinfectants. This entry was posted in News, Poultry. Bookmark the permalink.